15 day Vietnam Impression Holiday - traveling from the North to the South - features Vietnam's top attractions: lively cities, quaint ancient town, magnificent nature and stunning beaches. It's your time to get acquaintance to the warm hospitality and live the local lives, not only from the beginning in Hanoi - the sedate capital of Vietnam, but also in the ethnic Sapa, peaceful Hoi An, unique floating Mekong Delta and amazing Phu Quoc island as well. Don't hesitate to say "Xin chao" to the people you meet, they are very happy to welcome you here. Highlights of the trip is the precious overnight cruise trip in Halong Bay - UNESCO Heritage Site in person, which you cannot miss the valuable chance to explore the bay by exciting activities: kayaking, visiting caves, watching sunrise in Tai Chi class etc. The tailor-made holiday with private service will fill your trip with comfy stay, exceptional memory and fantastic stories. What a wonderful holiday ! In the evening, about 08.30 PM, our guide will come to your hotel and transfer you to Hanoi train station for Lao Cai departure and spend whole night on train. 05.30 AM: You arrive at Lao Cai station, our driver and guide will meet up and drive about 1.5 hours to Bac Ha Market which opens only on Sunday. Along the way, we will have chance to enjoy beautiful mountainous scenes and rice paddy fields. After having breakfast in a local restaurant, we will head to Bac Ha Market. In the Market, we will see the local selling and exchanging their goods and products, witness the traditional clothes and daily custom of them. Next, it is the time to visit H’mong King’s palace, an old building built by the French and Chinese. The afternoon time is devoted to a light trekking to a village of Flower H’mong minority, Ban Pho. Local families will welcome and offer you some green tea, corn wine and short brief of their custom. Then, we will enjoy dramatic landscapes of the surroundings. After the tour, about 04.00 PM, we will transfer to Sapa and spend overnight time here. 08.30 AM: The day is devoted to a beautiful hike through the breathtaking scenery of Sa Pa valley. Start by road that descends in the wake of the street Cau May (6 km) En route, admire the rice terraces hidden behind mist of the morning, a truly awe-inspiring sight. Follow a small track and cross Muong Hoa River and pass well tended rice terraces on your way to the Black Hmong village of Lao Chai. Continuing through the colorful rice terraces you will reach the village of Ta Van Giay. As you continue your trek along the Muong Hoa River you will cross a small suspension bridge, roughly 2km from the settlement. Here you can discover a fascinating collection of rock carvings. These engravings depict some beautiful images of man, stilt houses and some beautiful decorative patterns. We lunch in a local house in the village. After lunch the walk continues through a bamboo forest to Giang Ta Chai, a Red Dao ethnic minority village. After taking a rest nearby a waterfall to refresh, you start climbing uphill to a road where the car is ready for your journey back to Sapa. In the late afternoon, at about 05.00 PM, we will transfer to Lao Cai Train Station to catch a train to return Hanoi. Overnight on train. 05.30 - 06.00 AM: When arriving at the Hanoi Railway station, you will walk to the mini-hotel near the train station for a rest and breakfast. 08h45 -09h15 AM: Our driver will pick you up at the hotel, departing 2.5 hours to Halong Bay – the World Natural Heritage recognized by UNESCO twice. Upon arrival, embark the cruise and enjoy welcome drink while having tour briefing. A sumptuous lunch will be served on board while the ship sailing further to the Bay, make your time to admire its dramatic limestone islands. After breakfast, we will explore one of the finest and widest grottoes of Halong Bay. Next keep cruising and passing the bay with magnificent scene. You leave the boat around 12:00 at noon, depending on the availability of time after disembarking, our driver will take you go straight to Noi Bai Airport in Hanoi for a short flight to Danang City. Upon arrival at Danang Airport, a private vehicle will be waiting for you for the 50 minute drive to your hotel in Hoi An to check in and relax. Overnight in Hoi An. 08h30am: Your guide will meet you in your hotel lobby, than you will cycle around Hoi An towards the TraQue vegetable village - About 150 farmers and 400 owners live on there and cultivate about 20 types of vegetables and herbs such as mint, lettuce, basil, cilantro, broccoli and many more. From the more than 40 hectares of land 8 tons of Village Tra vegetables are sold every year. The vegetable growers do not use pesticides or GMOs, using natural fertilizers instead, including seaweed found in the river and harvested by gardeners every morning. During the walk, you will cross vast rice fields in the countryside and quiet road, far away from the tourist trails. You will see the activities of the inhabitants through the villages of Hoian. Walk in Tra Que vegetable village and meet local people working in the garden. You will be warmly welcomed at Mr. Han's house – a 3 generations family, taste of green tea and stroll through the village. You will row a basket boat within the hands of skillful locals and discover their techniques of traditional fishery in water coconut forest. After lunch, free time and take a short rest before returning to your hotel about 15h30. Today is a totally free day on your own to relax in Hoi An. You could spend your time on the beach (if the weather is nice), bike to the countryside, swim at your hotel/ resort's swimming pool, taste yummy dishes. So much of Hoi An is waiting for your discovery. Overnight in Hoi An. 07.30 AM: Today our guide will take pick you up at the hotel looby and take you to Mekong Delta and we will explore the unique life of local people here. The program will start with a visit of Cai Be floating market. Then, visit of the local workshop to see how to make rice paper, coconut , pop-rice... Enjoy some sweets with a cup of hot tea. Then, the rowing boat will take you deeper into the countryside on smaller canals to enjoy the peaceful time. An optional lunch can be served at local house (Ba Kiet / Muoi Huong…) After lunch, we’ll come to Tan Phong island for biking / walking on village paths to see the local daily life: orchard, school, church, pagoda, traditional houses and maybe the ancestral ways to pick up fruits in Mekong Delta... On the way, we can make some stops to see how they make rice-net for spring-rolls, sewing coconut-leaves for cottage roof and specially see how they wave the dried water-hyacynth to make many products: baskets, bags, hats, wallets, shoes... Come to visit Mekong garden, we will enjoy some cups of tea when listening to the traditional music. The cruise will back & end at Cai Be pier. Then drive back to Ho Chi Minh City. 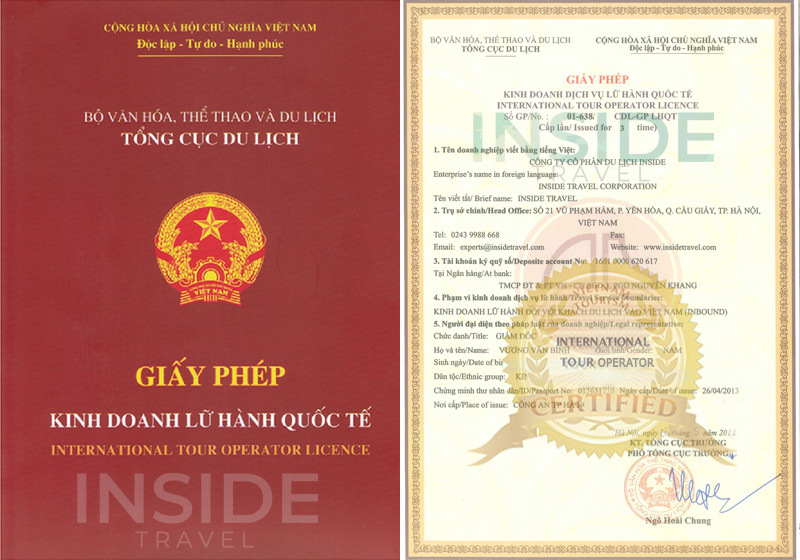 About 02 hours before the flight, our driver will come to your hotel and drive you to the airport for your flight to Phu Quoc – which is among top 5 hidden Islands of the world. Welcome on arrival and check in your hotel. Relax on the beach. Dinner on your own. Overnight on Phu Quoc Island. Today you are totally free at leisure to relax at your resort or on the charming beach. Enjoy delicious seafood and other cuisine. Overnight in Phu Quoc. Fly to Ho Chi Minh city for your next flight. Say goodbye to Vietnam.